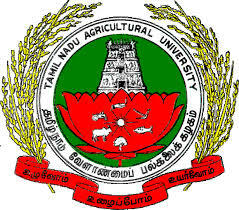 Tamil Nadu Agricultural University (TNAU) has released a notification for the recruitment of 206 Assistant Agricultural Officers (AAO). Interested candidates may check the eligibility criteria and apply online from 03-05-2017 to 22-05-2017. Educational Qualification: Candidates should have passed Higher Secondary Examination OR possess Diploma in Agriculture/Horticulture from recognised University or from Institution recognised by the Government of Tamil Nadu. Application Fee: SC/SC(A)/ST candidates have to pay Rs. 500/- and other candidates have to pay Rs. 750/- through Demand Draft. How to Apply: Interested and eligible candidates may apply online through TNAU website "http://www.tnau.ac.in/" from 22-04-2017 to 15-05-2017.